I’ve had a pair of these now rare Seimitsu LS-30 joysticks for a while, but haven’t bought any games to use them with yet. I didn’t like the state they were in when I got them and have been putting off fixing them up for the last few years since I bought them. 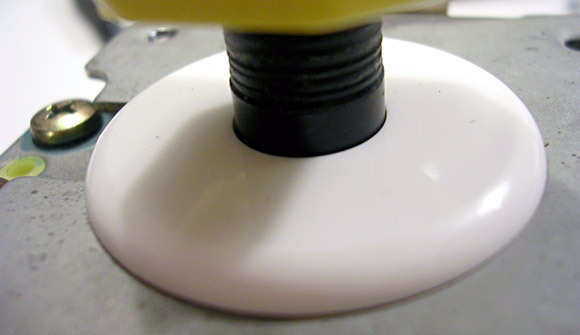 But I recently acquired a pair of used top bits (the plastic top bit with the old Seimitsu logo) and decided to see if I can make the joystick itself any better. The biggest flaw of the LS-30 in my opinion is that the throw is too long and it feels kinda “mushy”. This might be because I got my pair used, but I remember this feeling from back when I was playing Heavy Barrel in the arcades in the 80’s, so maybe the compromise to get the rotary function working came with the price of the 8-way function of the stick taking the back seat. First off, I wanted to compare the bits the joystick is built from with less rare joystick models, and I have a couple of spare bits that seemed to fit the bill. I had a Seimitsu LS-32 (not used any bits for my mod, but comparisons are below), some SANWA JLF parts (the metal washer is used, the shaft cover I didn’t use) and an Ultimarc Ultimate 360 Hard Spring that I picked up along with a SUZO 500 as I was curios if the spring would be of use in an arcade joystick. Seems I was right, as it’s very close in feel to the LS-30 spring (that’s actually even tougher, rivally the SUZO 500 spring). I did try some of the other springs I have here, like the LS-33, JLF and LS-32 one’s, but this had the perfect width and height also. I also tried to fit the same type of microswitch used in LS-32 (I had brand new spares) but it was too loose compared to the ones fitted in my LS-30 (Matsushita brand if I recall correctly). 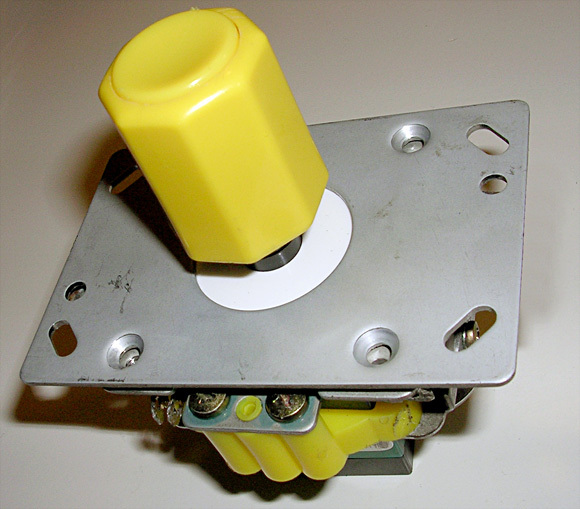 I might pick up some SAIA BURGESS ones again with blades next time I order from Arcadeshop.de as they are the best blade fitted microswitches I’ve tried so far. Yesterday, someone posted @ ArcadeOtaku that the LS-32 plates will fit the LS-30 (so that I can mount these with little to no hassle), with this in mind, I finally got one of these out of my storage and got to work making them decent. 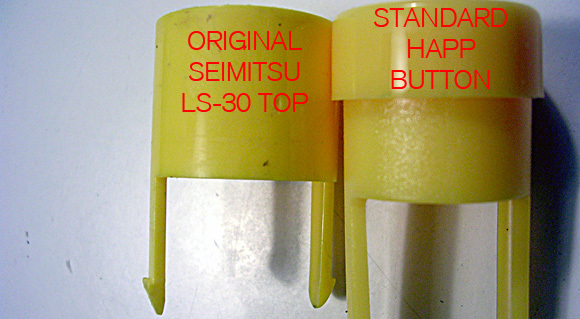 Spring comparison - LS-30 and Ultimarc Ultimate360 "hard spring"
I didn’t have a drill at hand to make the SANWA JLF shaft cover fit the LS-30 shaft, but the outer diameter is spot on, so I might get a drill so I can use these. The taller JLF cover will compact the spring a bit more, but I don’t think it will be an issue as the spring still has some space to move about. Putting the stick together again after pulling it apart involved lots of trial and error, especially as I was trying out lots of different parts from the LS-32 (nothing really worked well) but I finally got a result that feels really good. The spring was getting stuck a lot and the centering wasn’t consistent, so I tried lots of washers until it struck me that I did have some JLF parts. 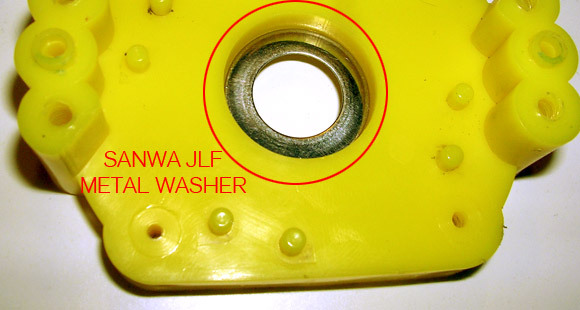 The JLF metal washer fit perfectly under the microswitches, stopping the shaft cover from going through the hole. Finally, I noticed that the old top parts with the Seimitsu logo on reminded me of the face part of arcade pushbuttons in both shape and size, so I pulled some HAPP buttons out and disassembled it and what do you know, the size was perfect and the colour is really close! Test fit is successful - LIKE A GLOVE! This was a mistake sort of, as I now have to drill it to get it out without damaging my handle. 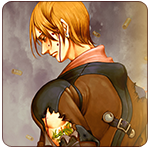 *facepalm* But I was just that excited I guess. 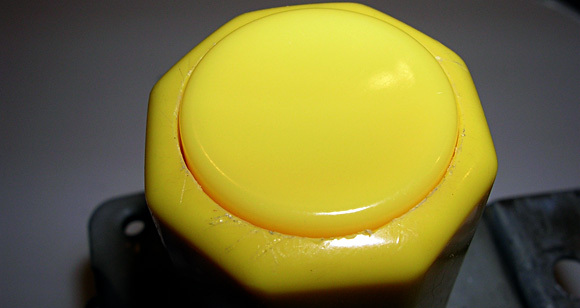 And the buttons are really cheap (I have more yellow ones just laying around) so it’s no big deal. 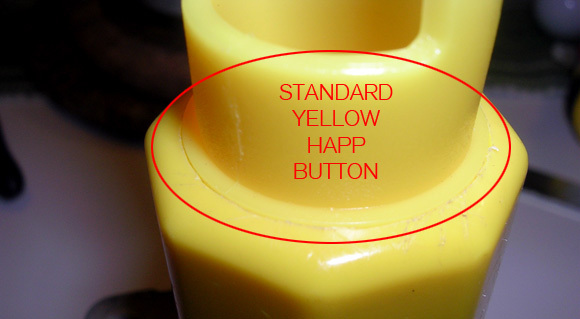 The HAPP Competition buttons will probably look even better as they are the same shape of the LS-30 top, but I’m really happy with the results of this cheap solution, and unless you know how the original looks, you wouldn’t know. I hope this helps for other owners of these sticks! I’m waiting a midnight resistance and one rotary stick but i forgot wich mouting plate do i need for an Egret II. 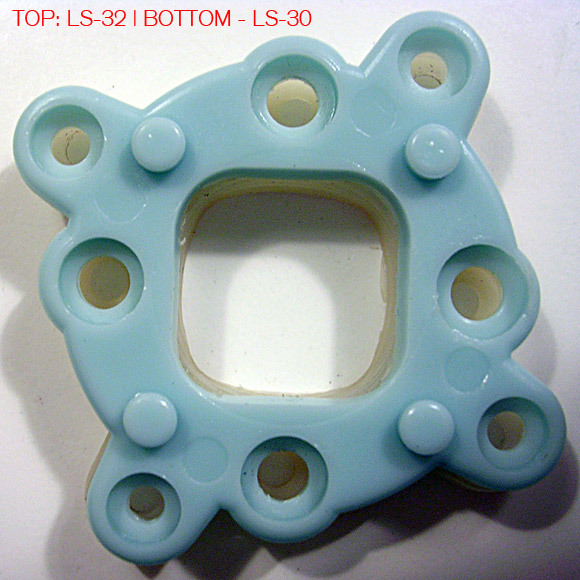 Hi, as you can see in my top picture, the LS-32’s RE plates will fit the plastic housing of the LS-30. It’s a perfect fit for the EGRET II. Some hobby programmer recently made a (completely free) software interface to use these with MAME 🙂 He also includes documentation for how to wire it up.